Spain´s agriculture, and especially Andalusian Almeria´s, entails competitive advantages from the problems their main competitors are facing. Both Central Europe, as well as Morocco, has been affected by a decrease in production in the horticultural sector. Almeria on the other hand, is the province which has resisted the crisis from 2009 the best and has increasing export numbers. According to data from Extenda, in 2012 Almeria´s export has grown a 9, 7% more than in 2011 with Germany (29,7%), France (15%) and the Netherlands (13,1%) as their main clients. 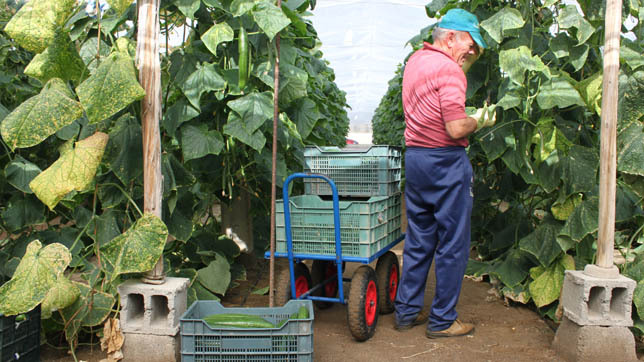 According to Francisco Contreras, Commercial Director of Edeka, one of the greatest vegetable food distributors in Europe, Almeria could benefit from the drop of the vegetable production Central Europe is dealing with. Numbers show that this drop amounted for around 25% for the past four years. In the case of the Netherlands, the drop has been caused by the increasing energy costs and by the fact that the Dutch Government no longer funds those energy costs to the country's producers, putting them at a great disadvantage. Almeria's producers and exporters receive the news with satisfaction, but also with caution. Juan Colomina, Coexphal manager, is one of them. Although the prospects for his province are positive, he prefers “to wait for solid confirmation during the coming months or years”.